Step 3. 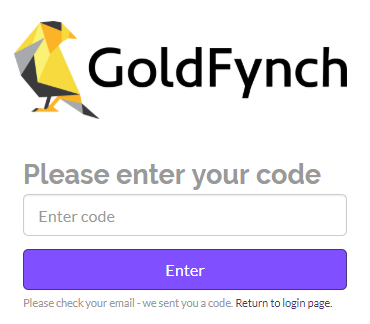 Enter the email address that your GoldFynch account is linked to and click on the Send button. 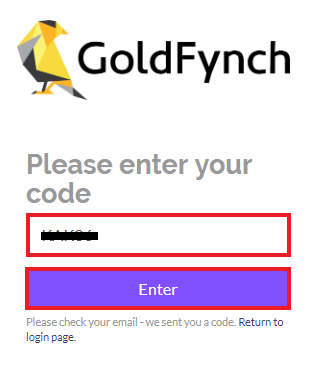 NOTE: You will be asked to enter a code on the following screen (as shown below.) Do not close this tab/window! Step 4. In a new tab or a different browser window, log into the email account whose address you entered earlier. 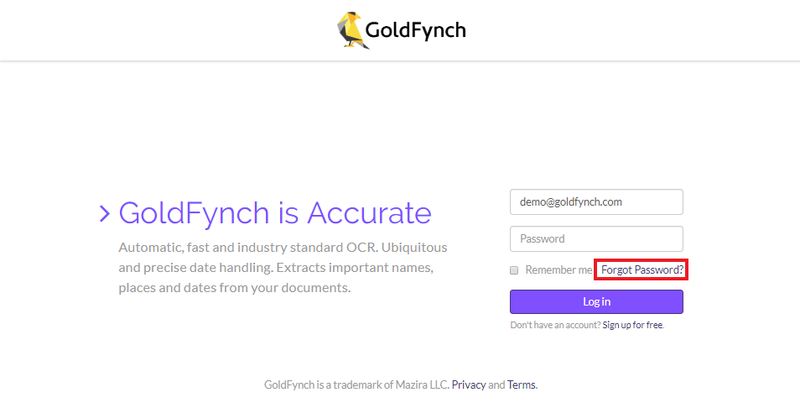 You should have received an email from “GoldFynch Accounts” with the email address “accounts@goldfynch.com.” Open this email. NOTE: If you haven’t recieved it, make sure to check your junk mail folder. Step 6. 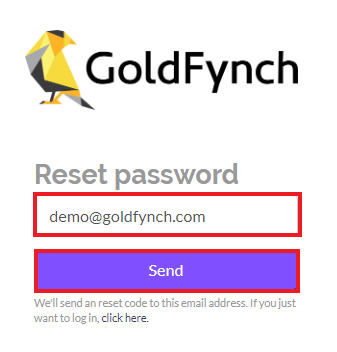 Paste the unique password reset code in the box on the code entry screen from step 3. Step 7. 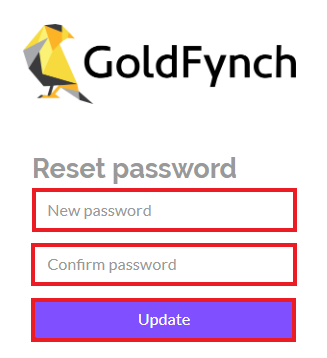 Enter a new password for your GoldFynch account, and enter the same new password a second time for confirmation. Then click on the Update button. 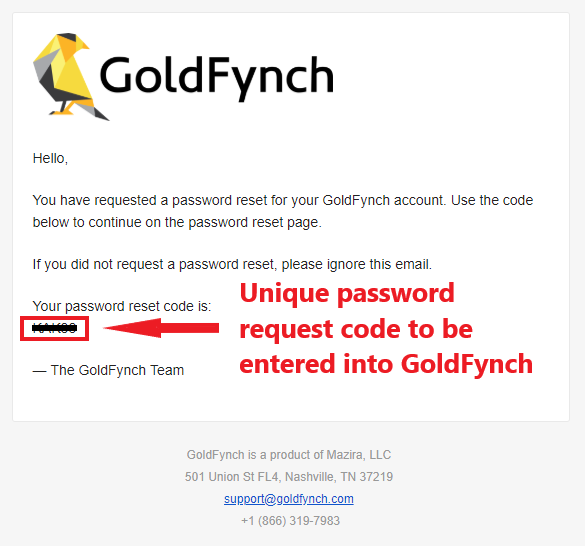 This should take you directly into your GoldFynch account, without requiring you to sign in. Step 4. 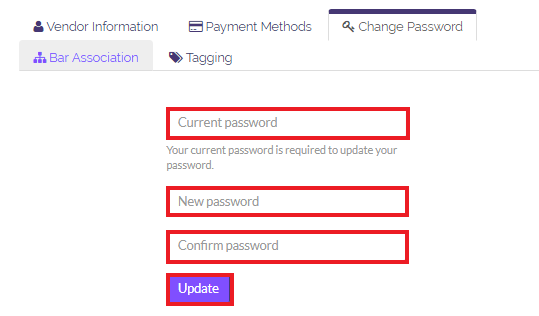 Enter your Current password into the Current password box, the new password you want to assign to the account into the New password box and re-enter the new password into the Confirm password box.